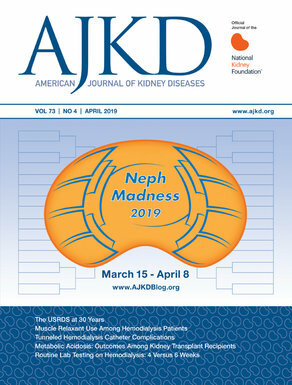 Ed Gould, MD, is an Assistant Professor of Medicine and Medical Director of outpatient hemodialysis in the Division of Nephrology and Hypertension at Vanderbilt University. 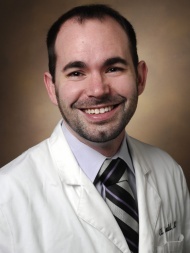 He went to medical school at SUNY Upstate Medical University in Syracuse, NY, before coming to Vanderbilt University for his Residency and Nephrology Fellowship; he has also served as both Chief Medical Resident and Chief Nephrology Fellow. Dr. Gould’s curiosity has led him to pursue several different lines of inquiry, ranging from medical education and curricular development to quality evaluation in hemodialysis patients. He is also involved in several clinical research trials in polycystic kidney disease, anemia management, and CKD progression. His clinical interests include hemodialysis, PCKD, renal angiomyolipomas in TSC, and glomerular disease. When not toiling away on those projects, he can be found scrutinizing Game of Thrones fan theories or playing zombie-themed video games.